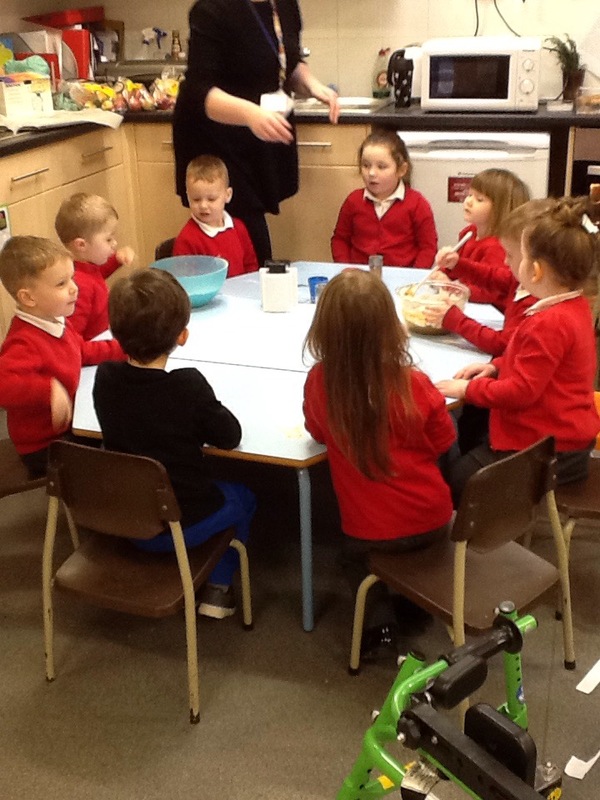 In Foundation one the story we are leaning is the Gingerbread Man. 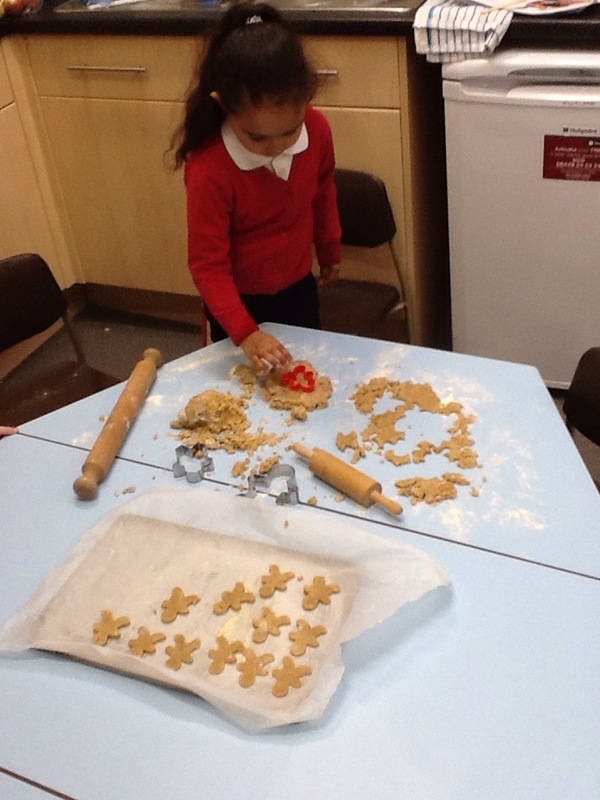 This week the children helped to measure the ingredients, mix the mixture, roll out the dough and use the cutters to cut out the gingerbread men. 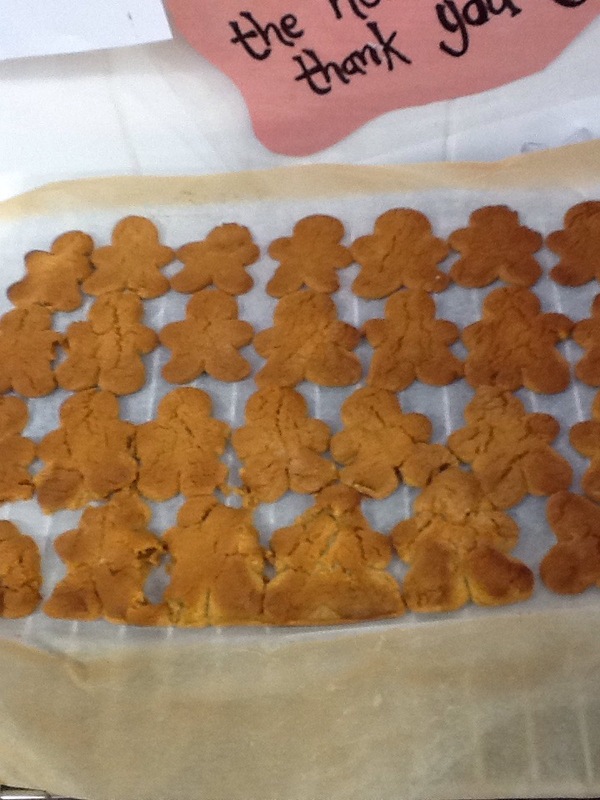 When they had baked the children tasted them and really enjoyed them. Here is the recipe for you to try at home with your child. We would love to see photos of you doing this, please upload these to your child’s tapestry journal. 1. Beat the sugar, butter and syrup together, then add egg. 2. 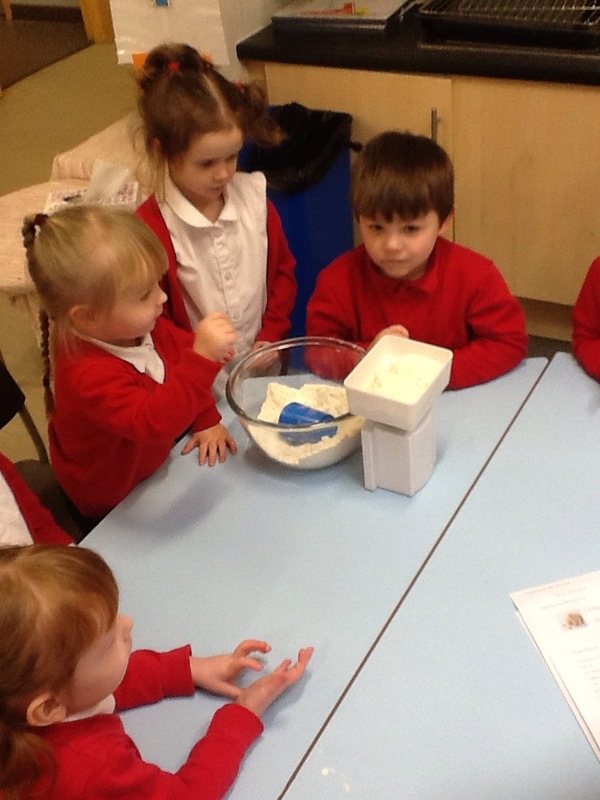 Sieve the flour and ginger together. 3. 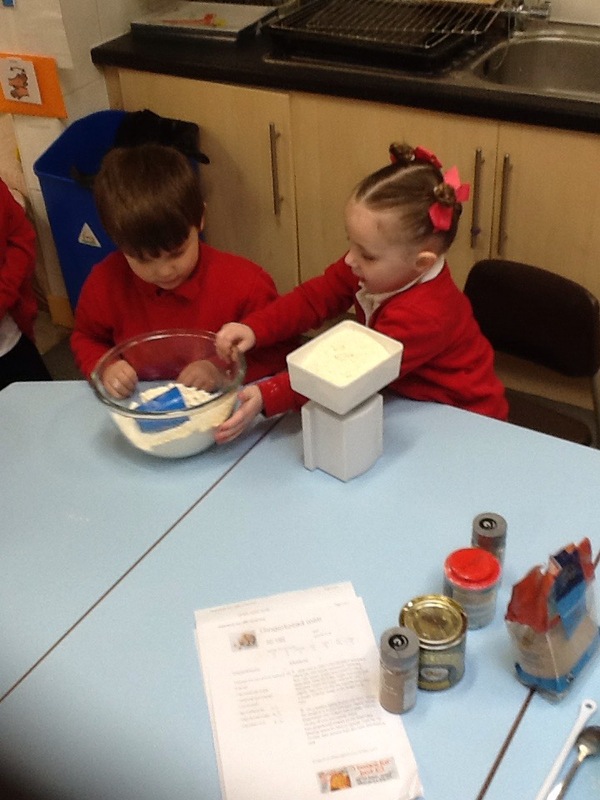 Mix the ingredients in the bowl. 5. Flatten dough and cling-wrap. Then put in fridge for 15-20 minutes. 7. Cut out the men. 8. Heat an oven to 180 oC or gas mark 4 and bake for 8 minutes until brown. 9. Decorate and add eyes if you wish to let cool and eat before they run away. Grange Farm Primary School Blog Powered by WordPress.com.